Draft / published rosters – you can now set the roster as a ‘work in progress’ (draft) roster, which lets you make any number of changes to rosters, and then mark it as ‘published’ when you’re ready to notify your team of the changes you’ve made. 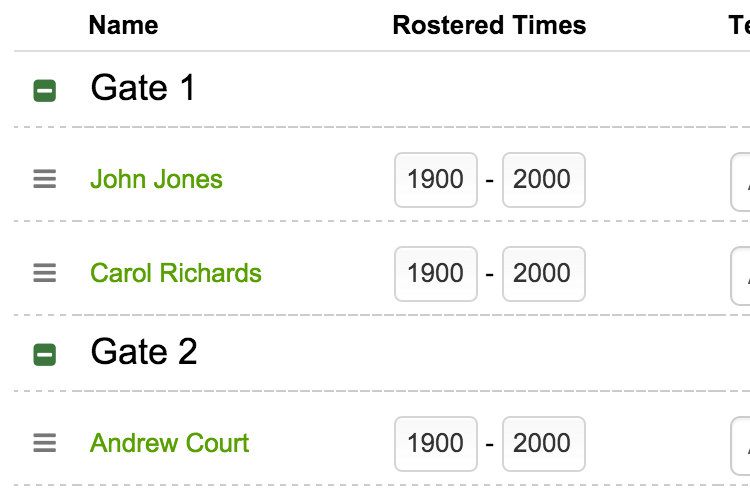 Rostering larger events with multiple areas/posts has been revamped, with posts now listed on the roster screen, along with a drag-and-drop approach to assigning people to different posts & areas at an event. 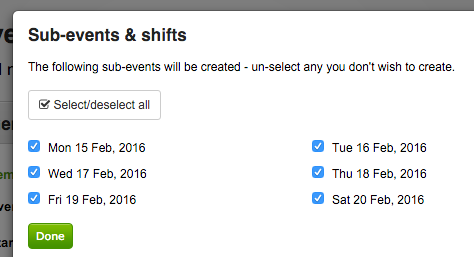 Comments can now be added to resource allocations to events – for instance where to pickup a vehicle, or booking information for equipment being hired for an event. The recruitment area has now also had a number of improvements, allowing your future staff members to add in an ID photo (configurable in the settings area) and some more information about themselves. More information.